Learn how to make the most of your plane’s devastating weapons. 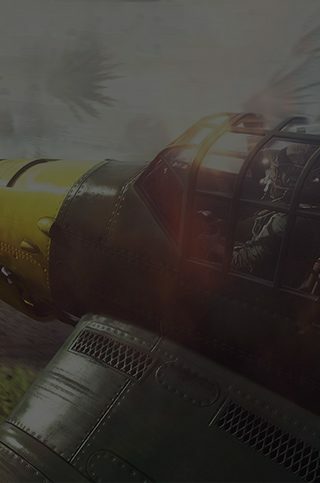 ProphetonFire gives you tips on how to use your plane’s weapons to their full potential in Battlefield™ V.
Looking forward to aerial combat? Before you start taking on enemy flying aces you might want to read up on some of the weapons you’ll have at your disposal – and how to make the most of them. Tail gunners and bombers are vitally important parts of any team’s air support. Tail gunners can act like a second set of eyes, seeing what the pilot can’t. And they have one vitally important job – keep that pilot alive. Positioned in the gun turret, tail gunners have a limited range of motion, and to better control that motion, the first setting to take into consideration is sensitivity. Once that’s been fine-tuned, tracking and hitting enemy planes will be much easier. The next thing to keep in mind is pacing of shots: too fast and the gun will overheat leaving the plane open to attack. Bombers are most effective when they work in conjunction with teammates on the ground. Spotting flares can help pilots find the best targets, like large groups of enemies, Fortifications, and vehicles. Even a single well-placed bomb can really turn the tide of battle.